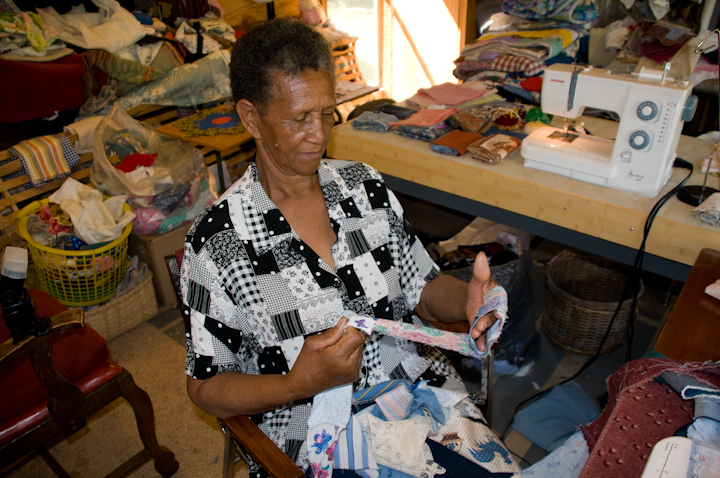 Mozell Benson was raised on a Lee County, Alabama, farm with her brothers and sisters. 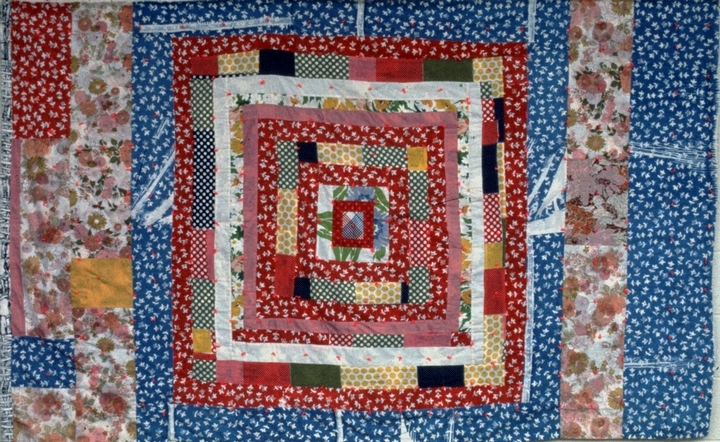 As a young girl, she learned to quilt from her mother, though she said she was not truly interested in sewing until later in life. 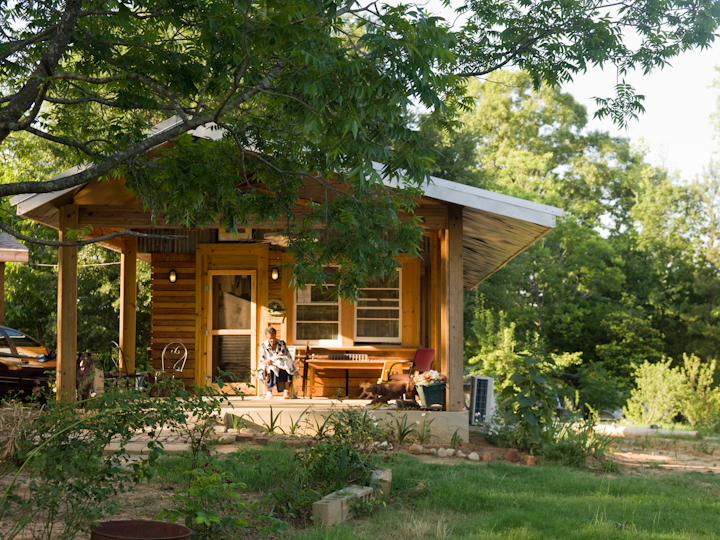 Aside from brief moves to southern Alabama and Chicago, Benson has lived and worked in rural central Alabama. 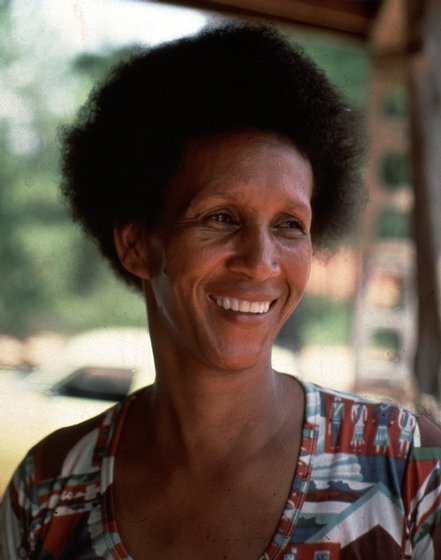 She married in 1952 and again in 1955 and was widowed in 1968. 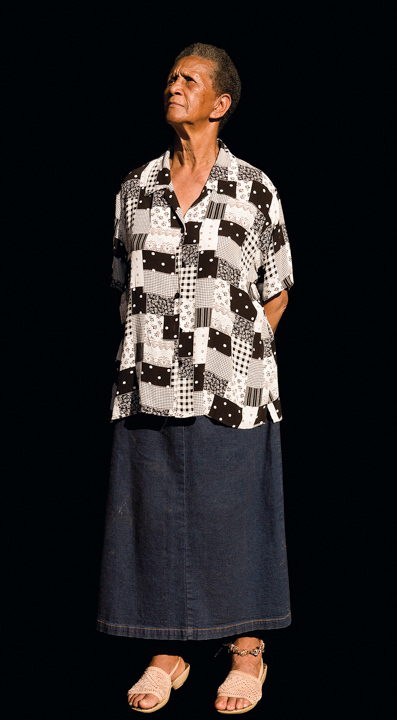 In 1969, she began working as a local school bus driver and has devoted herself to caring for her ten children and numerous grandchildren. 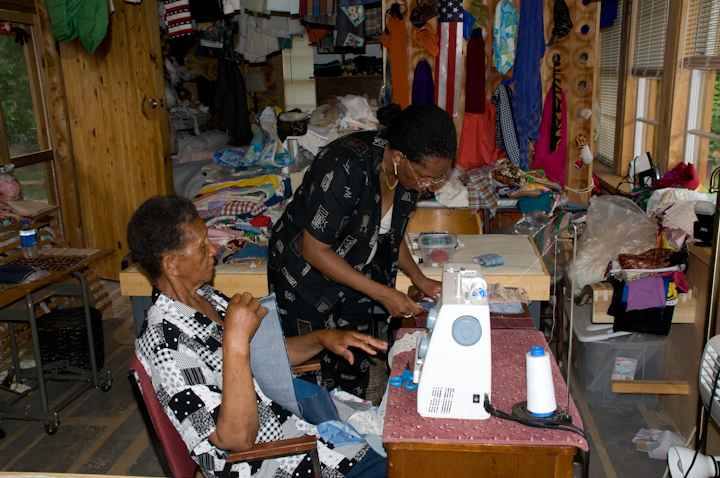 "After I got married and had my own family," Benson said, "then I got into quilting because we had to have covers. 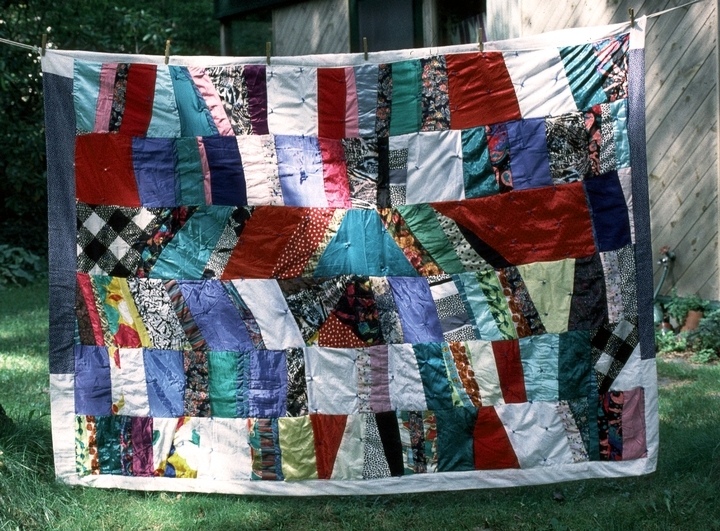 So quilting was a way of doing it, and it was inexpensive because people gave me pieces of material that they weren't going to use, and I could always find a use for it because we had to have covers. 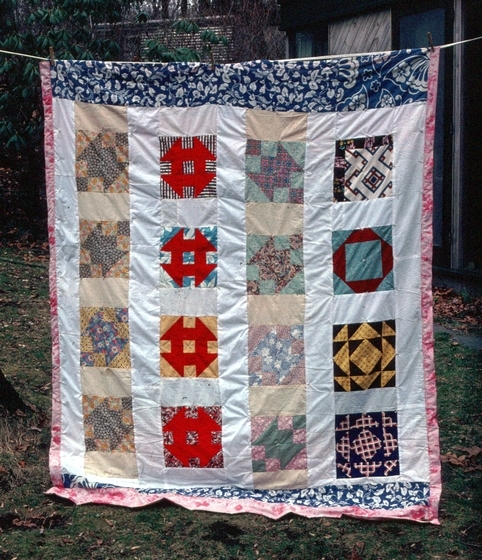 And then a lot of times, pieces would be large enough that I could make the girls a dress, the boys a shirt, something like that, and take the scraps and put them in the quilts." 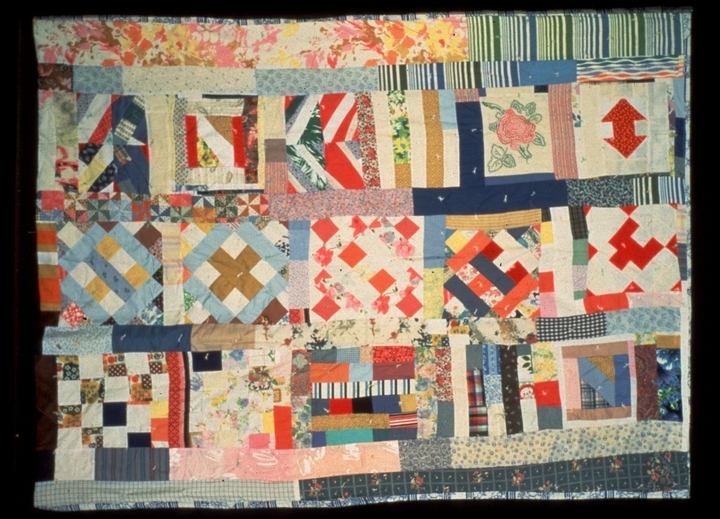 For most of her life, Benson averaged about twenty quilts a year, piecing them during the spring, summer, and fall and then quilting the tops and linings together in the winter. 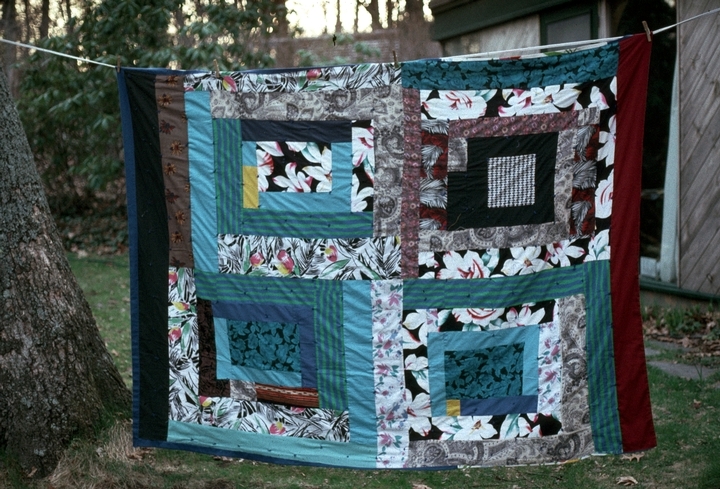 Over the years, she never sold any of her quilts, making them exclusively for her family's use, though she has sometimes given them away to friends. 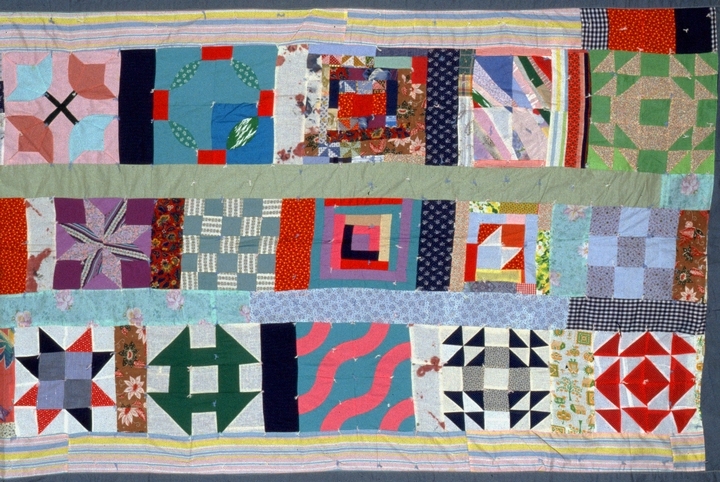 Each of Benson's quilts is distinctive. 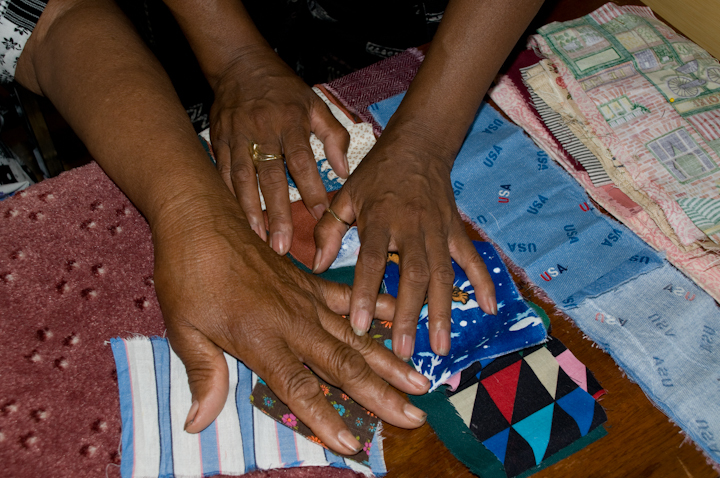 She does not use patterns, but instead creates her quilt-top designs as she pieces her scraps of fabric together. 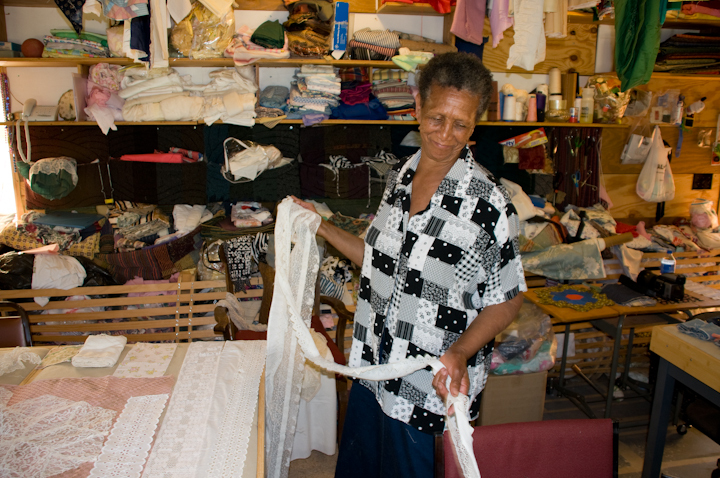 All of her scraps are given to her by family and friends; she prefers cotton because of its durability, but also uses wool and other materials. 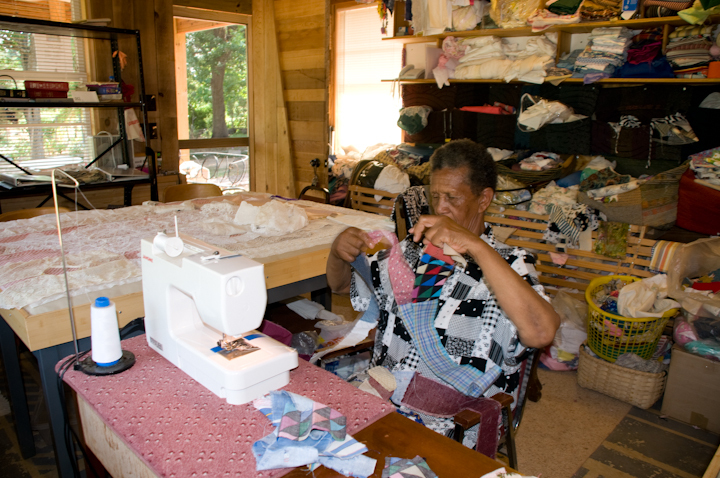 For batting, she takes old blankets, spreads, or quilts that cannot be repaired. 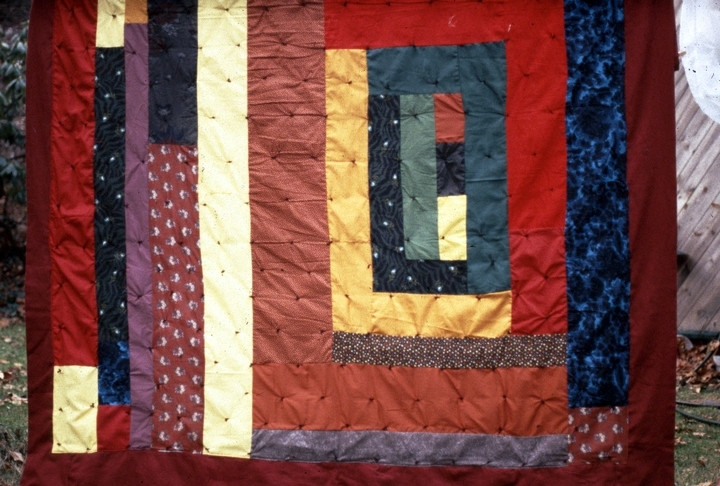 Though many of Benson's quilts are rooted in the African American "strip quilt" tradition, her bands of fabric are often wider and delineate stronger differences in color and design. 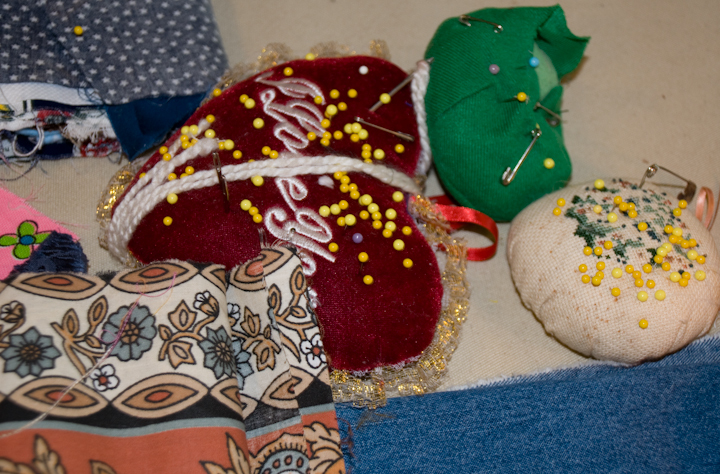 She usually begins with a basic design concept, but then improvises as she works to create original variations. 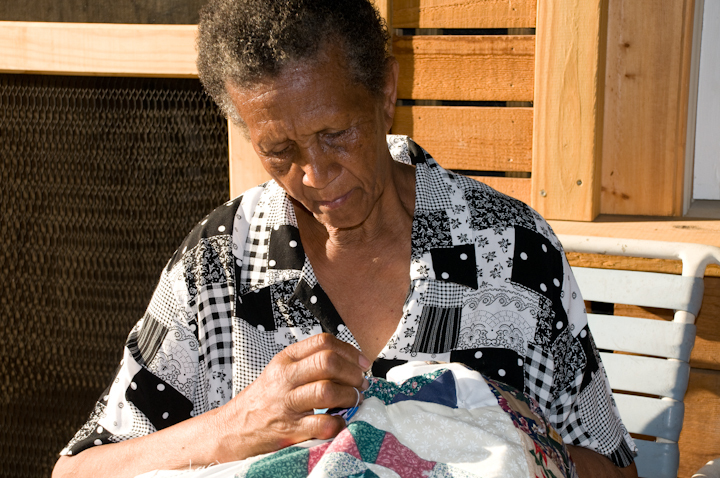 Her quilts often have the appearance of depth and optical movement and demonstrate a technique that she thinks might have African origins. 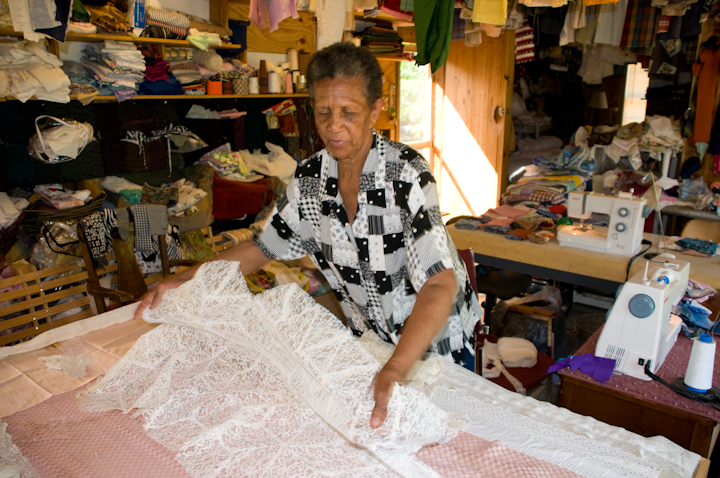 "Black families inherited this tradition. 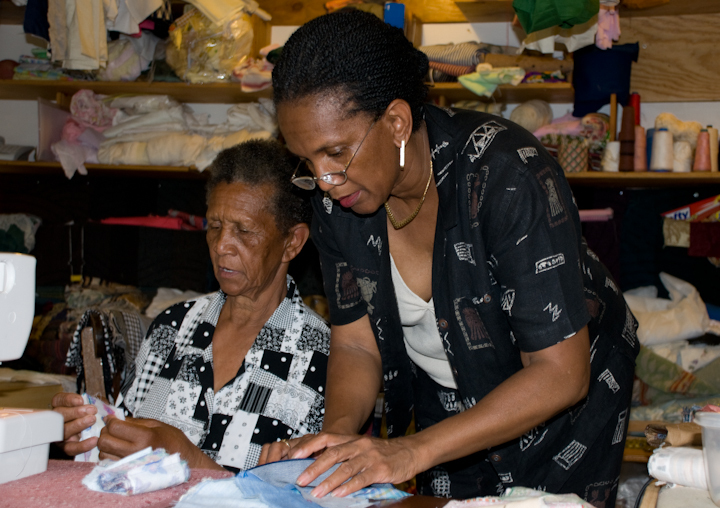 We forget where it came from because nobody continues to teach us. 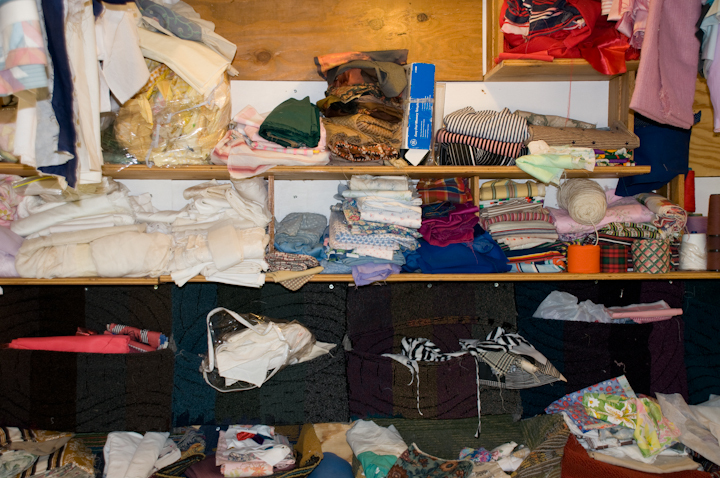 I think we hold to that even though we're not aware of it." 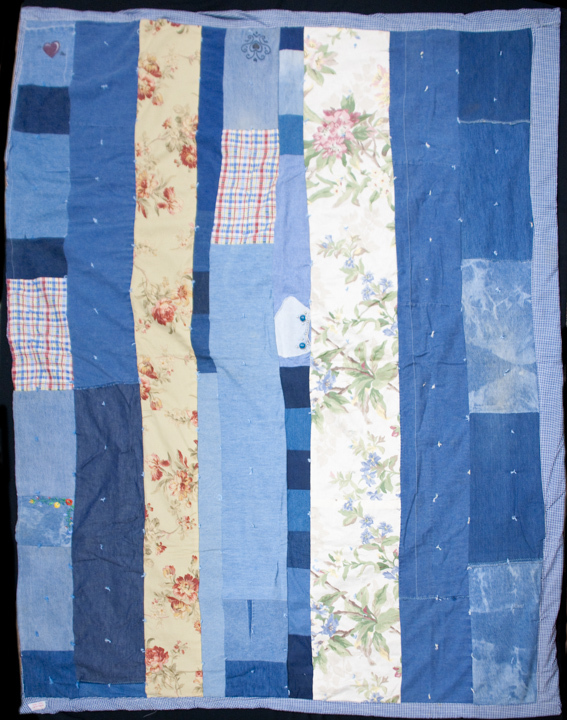 Increasingly, Benson's quilts have gained attention from museum curators and cultural specialists. 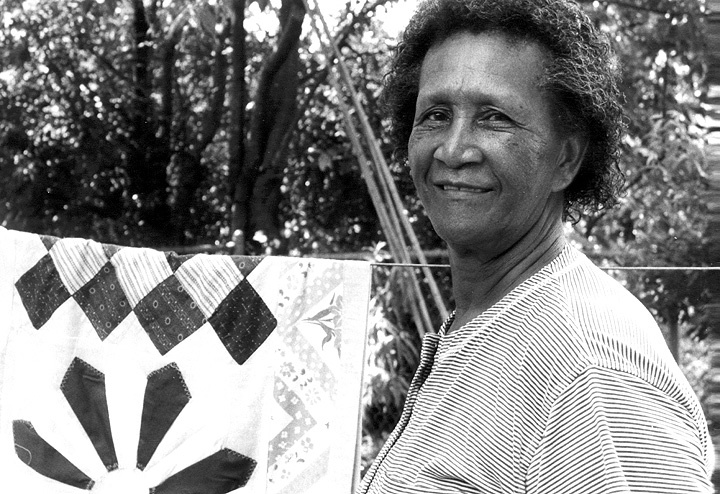 She was featured in the touring exhibition "Signs and Symbols: African-American Quilts from the Rural South," and in 1985 she traveled to Africa to demonstrate her craft for the Nigerian Council of Women's Studies as part of a U.S. State Department program. 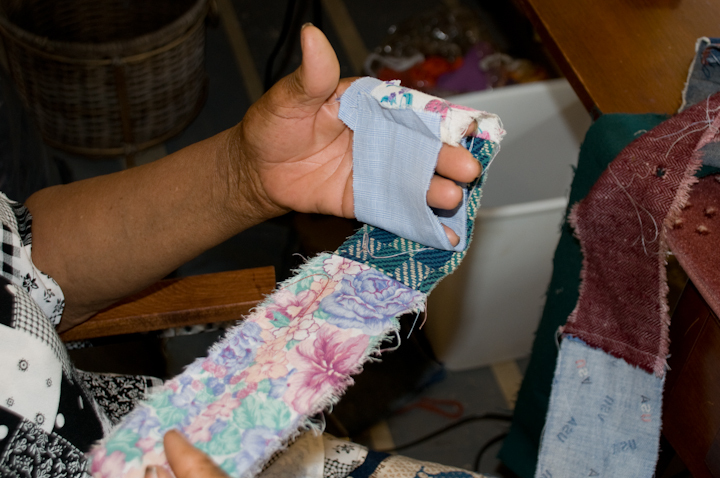 Harper, Samuel T. "Quiltmaker Helps Weave Some History." Opelika Auburn (Ala.) News (March 22, 1994). Moe, Andrew. 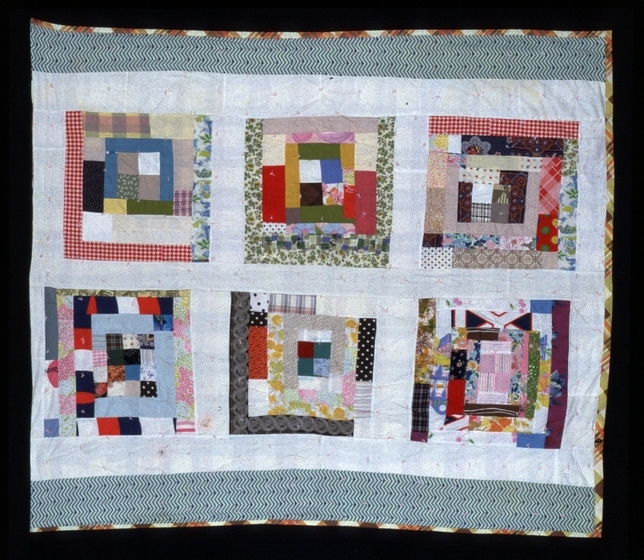 "Piece by Pieces: Quilts Reflect African-American Heritage." Montgomery (Ala.) Advertiser (January 30, 1994). 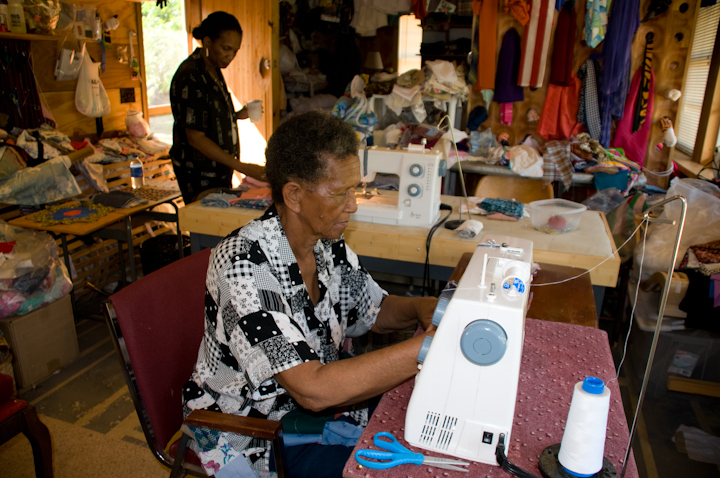 Patterson, Andrea. 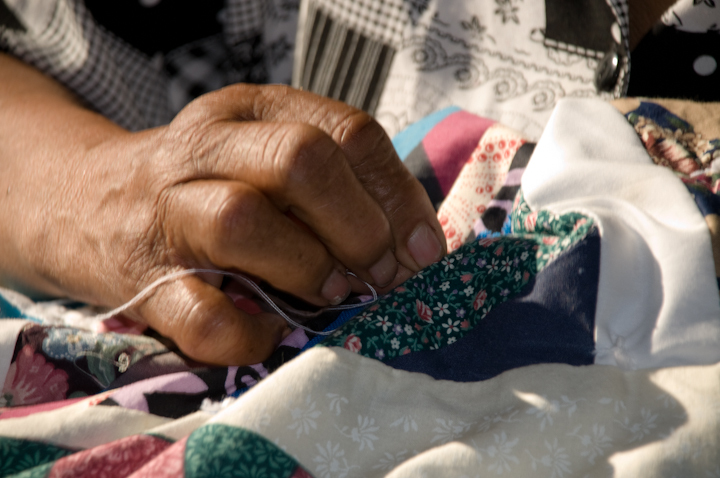 "Warmth, Beauty Sewn into Quilts." York (Pa.) Observer (February 10, 1989). 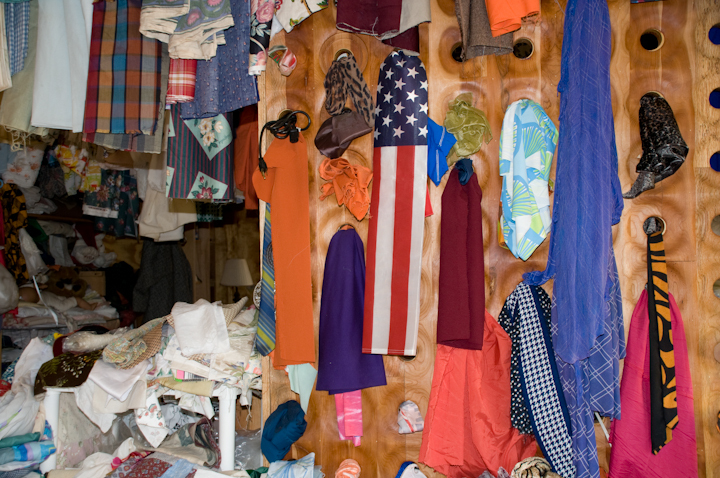 ____________. 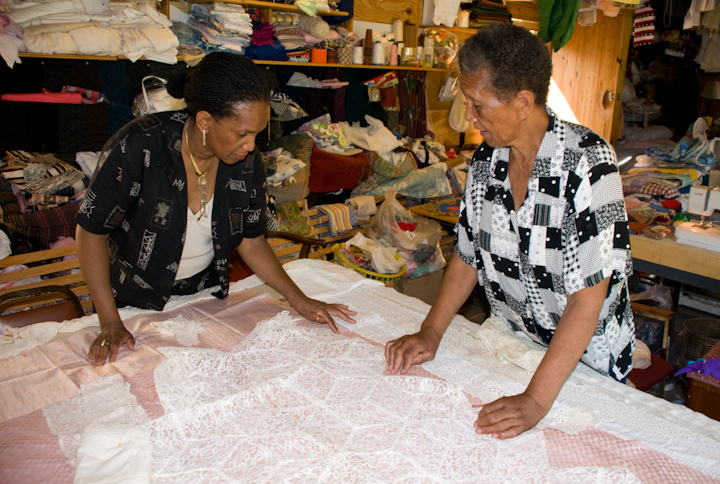 Signs and Symbols: African Images in African American Quilts. New York: Penguin, 1994.